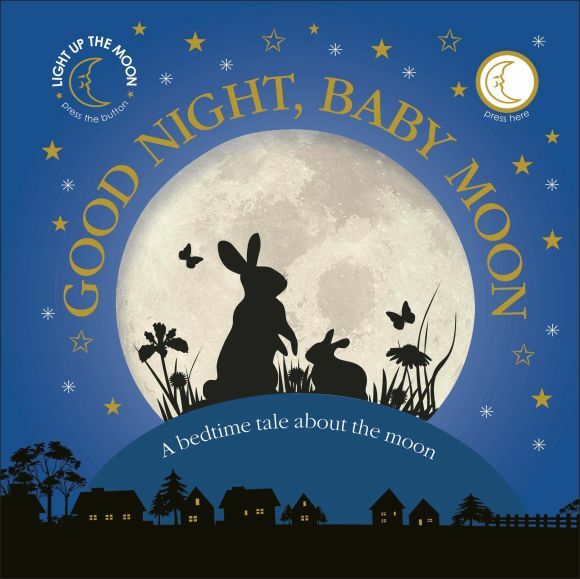 A special bedtime story that follows a family of curious rabbits on their nighttime walks to explain the phases of the moon, with a charming design that includes a light-up LED moon. When we first meet the family of rabbits in Good Night, Baby Moon, the moon is full and shining bright, but as the days wear on and the nights come and go, the baby rabbits ask their parents why the moon looks different and worry as it disappears and loses its glow. Their parents reassure them that all will be well and that soon it will be back, for this is not farewell. This delightful story teaches little ones that the moon will always return, and is a fun and exciting way for them to learn. The sweet illustrations and light-up moon make it the perfect gift and will cause little ones to swoon.